Neutral white LED strip with 150 extremely bright type 5050 LEDs. A-Class LEDs with a total power of 36 watts. Ideal for coves or main light source. 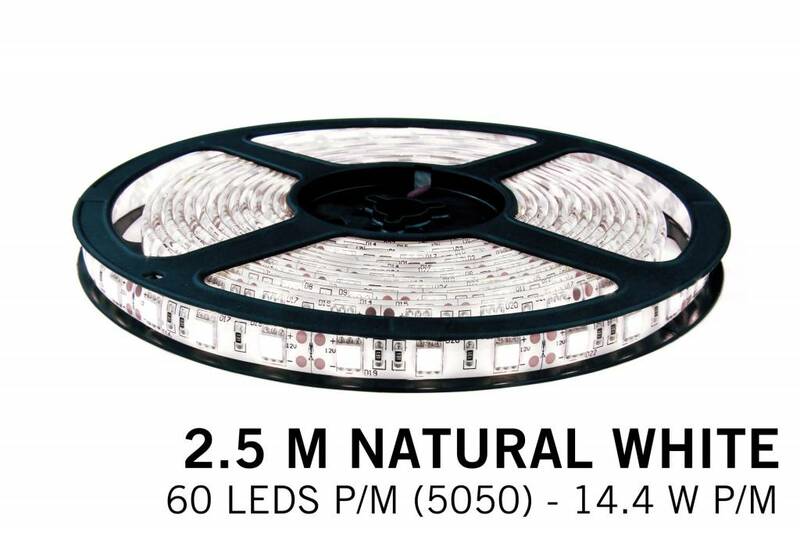 Ledstrip Neutral White (WW); 150 super bright white LEDs type 5050. This LED strip with a pleasant natural color temperature of 4300K fits perfectly in a room with a mixed lighting environment of daylight and artificial light. Also ideal for use in the kitchen (waterproof coating), office space, product displays and shop windows or around mirrors. Ultra bright and pleasant soft tone natural white LED light. For a beautifully finished result and a better light distribution, it is best to place this LED strip in an aluminum profile. You can find this LED strip profile here. 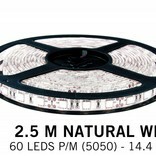 We constantly invest in research for the best and brightest white LED strips for a competitive price. This will noticed in the light output and durability.